Soon after arrival in the US, Ole dropped his farm name and was known thereafter as just “Ole Olson. Ole did not stay long with most of the other Sloopers who initially settled in the Kendall/Murray area of upstate New York. He went on to Niagara Falls to work in a paper mill. There he met & married Sarah “Sally” Porter Chamberlain (a 1st cousin of Mrs. Daniel Webster6). They had their first child at Niagara Falls in 1830, a daughter named Bertha Ann. 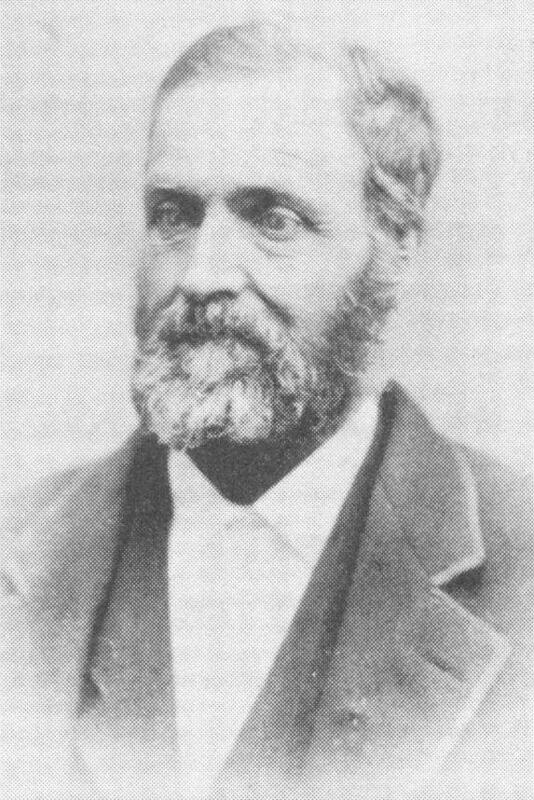 After having 2 sons, the family moved to Illinois in 1835, first to the Fox River Settlement in LaSalle County, and later to a place near “Middlepoint” in Kendall County.7 In Illinois he continued his role as an activist, preaching, selling bibles and helping escaped slaves on the Underground Railroad. In 1837 Ole and Sally had a son that died in infancy. In 1839 the couple would have their last child, a son they named James Webster Olson (sometimes called "Web" by family members). Just a couple of years later Ole's wife Sally died in March of 1841. Four years later Ole would marry the "American" widow Elizabeth Brown, but there would be no children from this second marriage. 1. Several of Ole’s siblings also emigrated to the US at later dates, including younger sisters Ragnille from whom Phil Rhodes descends and Anna who married Jacob Anderson Slogvik’s brother Knud. 2. This family had ancestral connections to farms in the Nedstrand Parish, Fevold and Skiftun farms in Hjelmeland, as well as other places in Jelsa and Finnøy. They shared some of the same distant ancestors as other Sloopers, including some of those of Jakob Anderson Slogvik. 5. OLE, A COMPLEX RELIGIOUS MAN: Around the time he was leaving Norway one author stated that he was “classed as” a Quaker (Rosdail p 9) which would fit with the common belief that most on the sloop were seeking religious freedom either as Quakers, Quaker sympathizers or those following the teachings of Hans Nielsen Hauge, and it was later stated that he “was a Haugean in leaning.” He could be considered a lay minister as he apparently held no religious status of ordination. It has been suggested that Ole probably preached on the Sloop as the group sailed to America. Probably before he went to Niagara Falls, he preached to his fellow Sloopers in the Murray Settlement in upstate New York. Rosdail goes on to state that even though Ole had this Haugean background, he “was not too far removed from Lutheran influences judging by his Lutheran activities in the latter 1830’s.” (pp 52-53) Around 1843 Ole is reported to have joined the “ Newark (Presbyterian) Congregational Church.” (p 104) Around 1848 Ole was referred to as a “Presbyterian” and was known to act as an “interpreter” in religious meetings held by visiting Baptist and Methodist pastors. (p 127) Ole’s occupation has been given as Bible “colporteur” (defined by Webster’s as, “peddler of religious books”). 6. 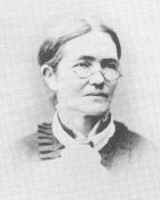 Massachusetts born Sally (Sarah) Porter/Chamberlain (1805-1840) was the daughter of James Chamberlain/Chamberlin and Joanna Stevens. James had a sister Rebecca who married Elijah Fletcher, and this couple had a daughter Grace. 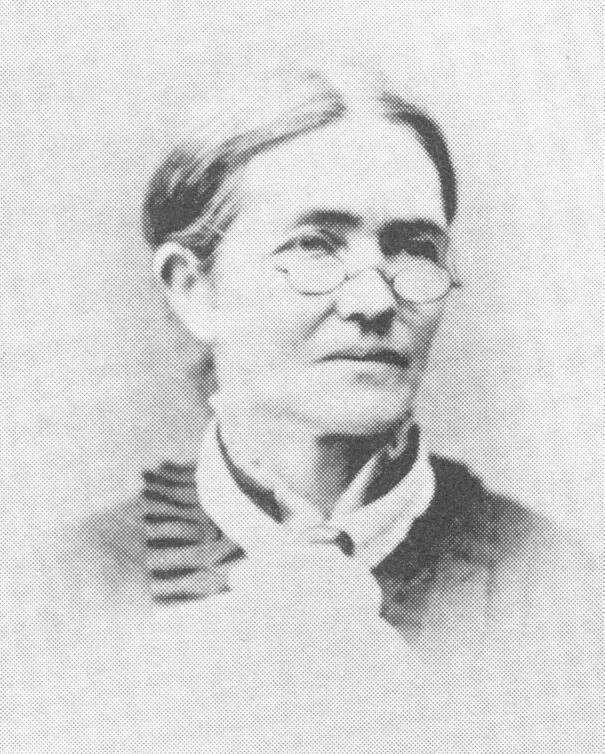 Grace Fletcher was the noted Daniel Webster's 1st wife. Therefore, Ole's 1st wife Sally was a 1st cousin to Webster's 1st wife (see .pdf chart "Descendants of Ephraim Chamberlin"). 7. See: "Ole Olson," Kendall County Record, May 16, 1906; edited and compiled by Elmer Dickson - appearing as information on one of the Pioneer Norwegian Immigrants, Kendall County, Illinois, web site that is part of the USGenWeb Project. 1. Bertha Ann Olson*, b. NY, 29 Jul. 1830, d. WI, 24 May 1898, married 31 Mar. 1850 at Newark, IL, to William Shaver**; had 8 children & many descendants spreading throughout the US. 2. Porter Chamberlain Olson, b. 11 Apr. 1832, d. 30 Nov. 1864 (died in battle, Civil War). 3. Soren Luther Olson, b. 23 Mar. 1834, d. 31 Dec. 1862 (died in battle, Civil War). 4. James Webster Olson, b. 29 May 1837, d. 28 Aug. 1838 (died young). 5. James Webster Olson, b. IL, 18 Aug. 1839 , d. Santa Rosa, CA, 13 Nov. 1912, married 21 May 1868 at Morris, IL, to Susan Barrett Whitney; had 5 children, only one, the middle child Edith Whitney, was know to have married (she had 2 children with no known further descendants).